Wow! Where did the Summer go? Just back at school, college or work and getting grief over your piercings? You have come to the right place! Our retainers section has our full range that are all in stock and ready to ship. We get lots of emails and calls all of the time including parents or teachers at schools that are unsure what size jewellery they need to buy to hide their child or students piercing. It is so hard to advise because it is a bit like trying to guess someones shoe size without seeing them! To sum it up, there are 2 measurements for body jewellery, the thickness of the bar (the part that passes through the piercing itself) and the length of the item internally. Thickness - Now this is funny with ear piercings, it very much depends on the piercing itself, how it was done, whether with a gun or a needle. Piercings with a gun will typically be thinner and normal ear studs worn which are very fine, usually 0.8mm or sometimes even less. If the piercing is done with a needle (which it should be ideally) the piercing will usually be either 1mm or 1.2mm. If a piercing was done with a gun it is possible to increase the size of jewellery that is worn to 1.2mm and that size gives a lot more choice of jewellery available. However care must be taken and this should be done slowly without forcing anything. You can go up to 1mm first and then 1.2mm if you wish. It is always easier to change jewellery when the skin is warm and soft, usually after a bath or shower. Next the length - if there is such a thing as a standard size it would usually be 6mm for ear piercings, but this can vary from person to person depending on the thickness of the ear and piercing placement. 8mm is slightly longer and would give a bit more room if you are unsure. It is very had to advise the best size that you should get but the most popular option is 1mm x 6mm and then you can see how that fits and if you need thicker or longer take it from there. 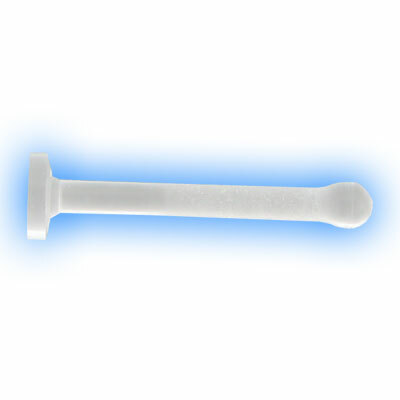 Unfortunately these studs are not available in thinner sizes than 1mm at the moment. We recommend Labrets to hide ear piercings - we have 1mm ones here and also 1.2mm and 1.6mm here they have a choice of clear, flesh tone or black ends (2mm in size) which just push into the labret stud. The ends can be swapped for different ends when the piercing no longer needs to be hidden. We have been getting asked a lot for a long clear barbell that could be used to hide Scaffold or Industrial Ear piercings, so we made one! 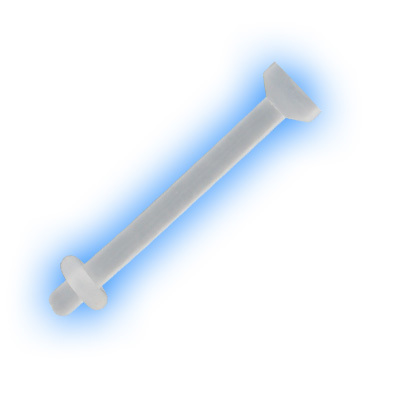 These long bars are made from Clear Bioplast and they are available in lengths from 30mm through to 50mm, we thread both ends and add clear acrylic balls which are available in either 4mm, 5mm or 6mm. So you (or someone you know) has spent the Summer stretching their ear lobes so that they can wear the latest logo plugs or silicone tunnels only to be told that the jewellery they are wearing is not acceptable for their place of work, and neither are the dangly holes in their ears. Panic sets in because you do not want to have your lobes sewn together, you have only just stretched them! 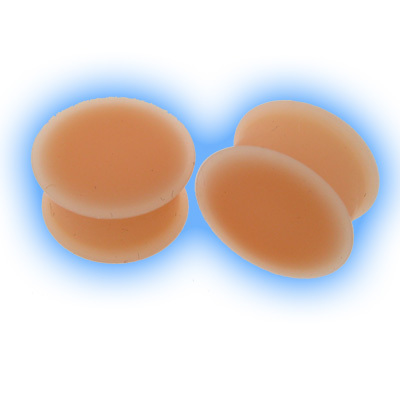 Don't worry we have affordable choices available of flesh coloured ear plugs that will camoflauge the stretch as much as possible. Basically to hide a facial piercing such as a Madonna, lip or labret piercing we would also recommend the Bioflex labret stud that we mentioned for ear piercings, again you would need to know what size you require. Usually these piercings can be either 1.2mm or 1.6mm and they are usually 8mm in length but again this can vary depending on skin thickness and piercing placement. 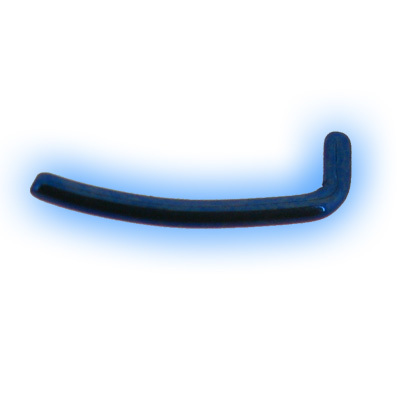 It is acrylic and 1.2mm x 8mm so fits most eyebrow piercings. 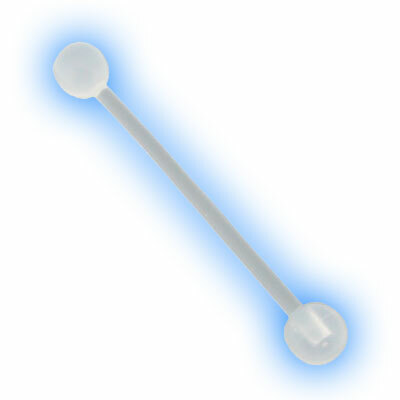 We also sell Bioplast barbells with acrylic balls which you can choose the length of, they are more flexible so some people find them a bit more comfortable to wear. These Titanium eyebrow hiders are great - they are available in any Titanium colour (peach and brown are great for hiding a piercing), because they have no balls or o rings they are slightly more discreet. There are a few different choice of Tongue Retainer available, we have skin tone ones, pink ones and clear ones made out of acrylic with either a flat part one end and a push fit disc the other or alternatively half balls which screw on to barbells and are comfortable to wear. The most popular size of tonue jewellery that we senn is 1.6mm x 16mm but again this can vary from person to person. 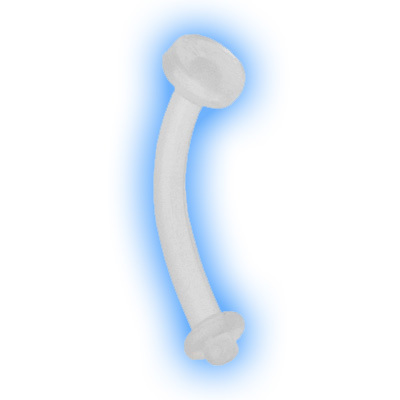 This clear acrylic is probably our best seller, but we do have lots more choice in the retainer section, including 1.6mm Clear Bioflex Barbells with clear acrylic balls (4mm, 5mm or 6mm). Nose piercings can look amazing but they are not always popular with schools, colleges and some places of work. We get asked a lot what is the best way to hide a nose piercing and it does come down to the individual piercing and also personal preference. Nose piercings can be 0.8mm in thickness or 1mm and some people prefer straight nose studs where others prefer the curved ones. We have a nose hider for just about every combination in clear or flech tone. 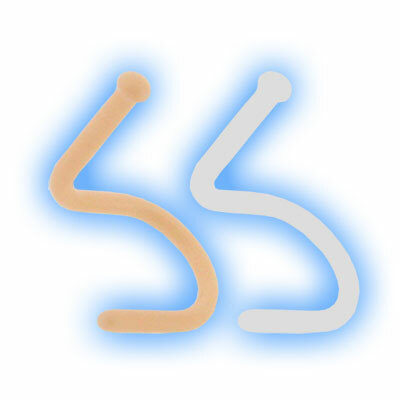 These curved Bioflex nose retainers are available in either 0.8mm here, or 1mm here, they are available in clear and flesh tone so offer a great way to camoflauge your piercing without taking it out altogether and running the risk of it healing up altogether. 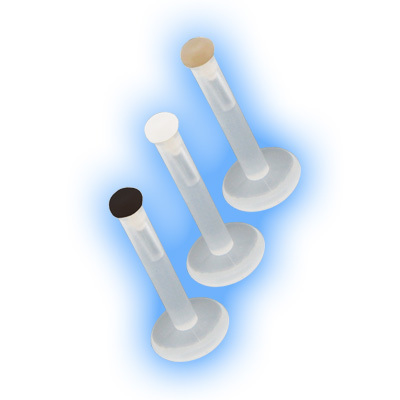 Acrylic straight hiders are available in 0.8mm and they have a small ball that keeps them in place in your nostril. Wearing jewellery in Septums (the bit in the middle of your nostrils) is very fashionable at the moment but again it is not always popular in education and places of work to have rings or clickers fitted and rather than remove jewellery and run the risk of the piercing closing up most people choose to hide it instead. There are lots of different options available to do this including U shaped ratainers that can be flipped upside down, these are available in Steel, Titanium and even Bioplast. Septum piercings can be either 1.2mm or 1.6mm so you would need to know the thickness of jewellery that you require. Another question that we get asked regularly is what jewellery is suitable for use whilst having an operation, MRi scan or X Ray. Because no metal can be worn during those procedures you need to wear jewellery that is either Acrylic, PTFE, Bioplast or Bioflex as none of these materials contain any metal. Hopefully that will cover any queries that you have regarding how to hide your piercing for work, school or hospital, but if you have any questions at all please contact us and we will do our best to help in any way that we can.